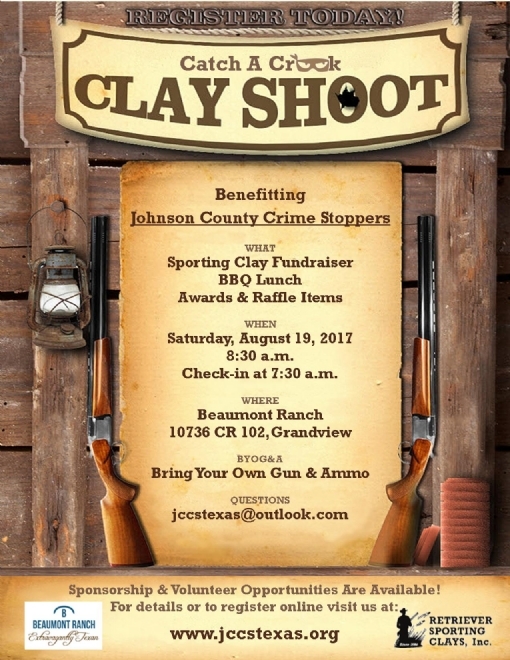 Join us for our 3rd Annual Catch a Crook Clay Shoot Fundraiser! Don't miss your chance to win some great stuff! Check back often for more raffle items to be added. Register online or click here to print a registration form and mail your payment. 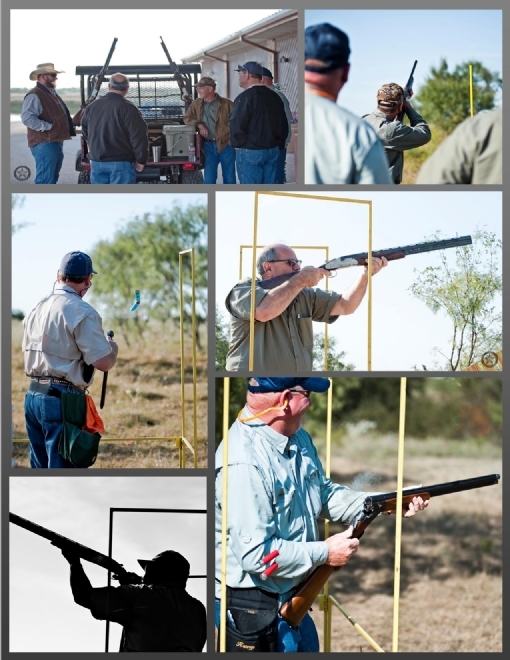 Thank you to everyone who came out to support and participate in our second Catch A Crook Clay Shoot, including the participants, volunteers and sponsors! didn't keep us from having a great time!! Event Sponsors & Raffle Item Donors! 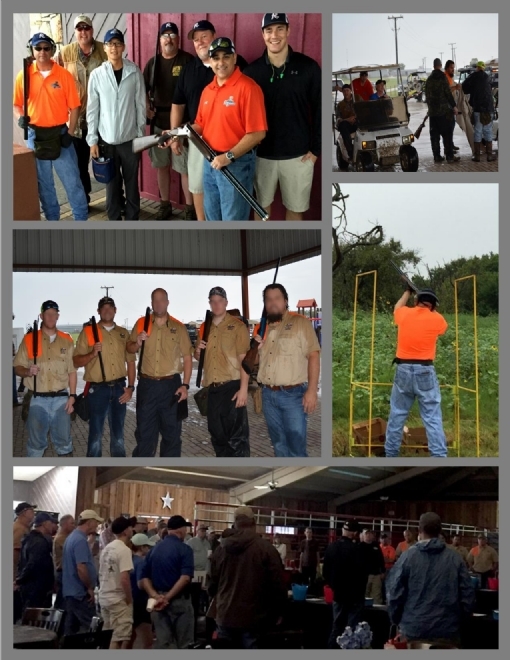 Thank you to everyone who came out to support and participate in our first Catch A Crook Clay Shoot, including the participants, volunteers and sponsors!